Being the only Asean International Industrial directory circulated within the South East Asia region, Asean International Industrial Directory is in a unique position of bridging Asia and regional businesses. Asean International Industrial Directory allows regional and international companies to expose their brands and products to the Asia market while allowing Asean businesses exposure to the region. 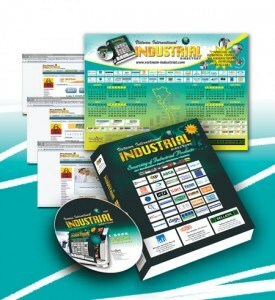 With a targeted audience of distributors, purchasers, manufacturers, and resellers, Asean International Industrial Directory is not only a valuable sourcing tool but also a good link between advertisers and prospective clients. Distributors, resellers, purchasers and end-users rely on Asean International Industrial Directory to source the brands/products needed to keep their business profitable and competitive. Through our extensive distribution network the directory is available at Regional Trade Offices, Technical Institutes, Libraries, Embassies and business centers in Vietnam/Asean Region.